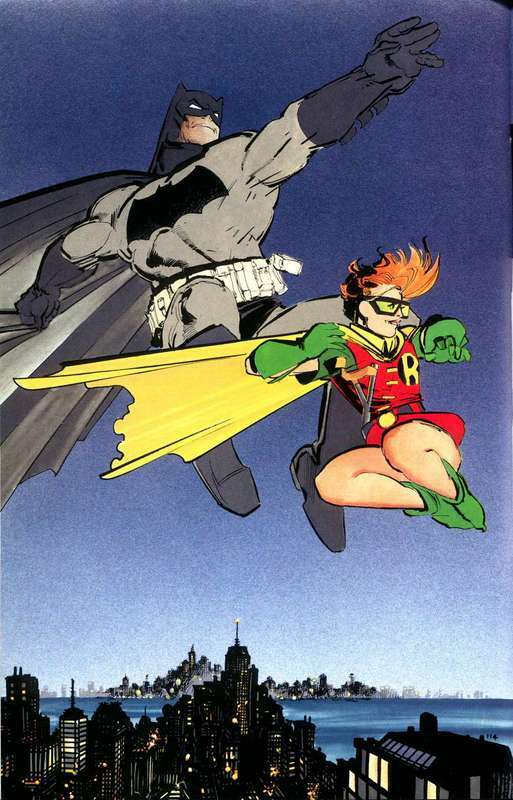 Thought Balloons - Creating Comics One Page At A Time: Why The Dark Knight Returns? 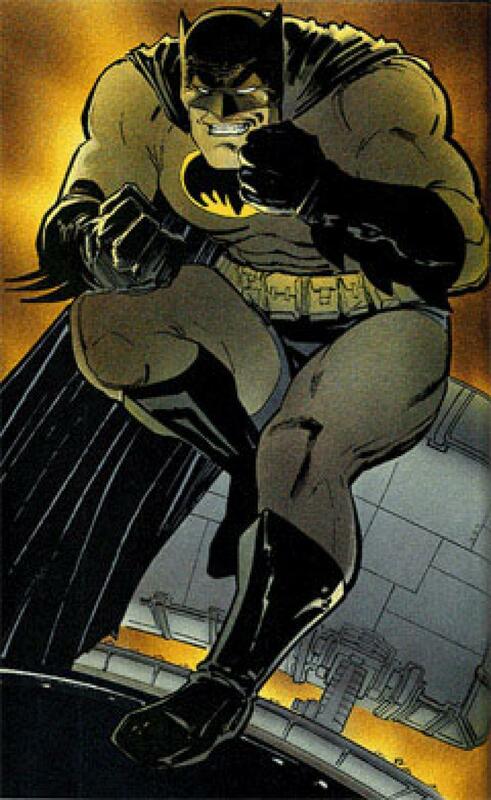 Why The Dark Knight Returns? 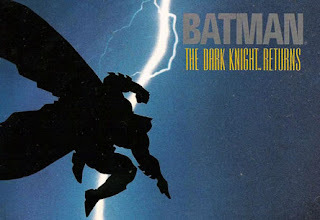 Batman: The Dark Knight Returns made me want to create. This was a classic superhero presented in a manner that was bold and new. I was too young to truly appreciate everything Miller was doing, and there are plenty of resources available that deconstruct the work, but upon reading it again, for the first time in about 20 years, I can see how it made its way into the pages I write. 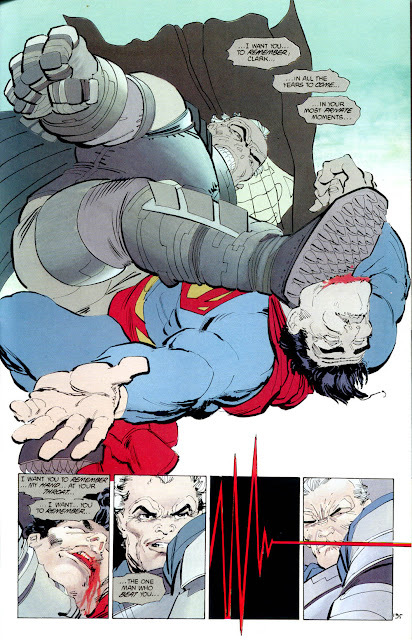 My penchant for “talking heads” scenes is a direct correlation to the repeated television screens used throughout Dark Knight Returns, only without the subtext that the newscasters, experts and pundits bring to Miller’s work. Early in my writing I tried to jam as many panels onto a page as possible, subliminally borrowing from the 16 panel grid layout Miller used to heighten the sense of a claustrophobic Gotham City. I just didn’t know how to tell a story. As a kid, the grand vision of Batman: The Dark Knight Returns was lost on me. What wasn’t lost on me were the images – iconic and beautiful. This is the type of book I wanted, and still want, to create, and every time I sit in front of another blank page, eleven year old me appears as a reminder that I will never be able to “touch” this masterwork from Frank Miller. But that doesn't mean I can't try. Wow. Great Why piece this week, Derek. Jay Garrick – Record Keeping – MK Stangeland Jr.